One of the best things about parties is the food. 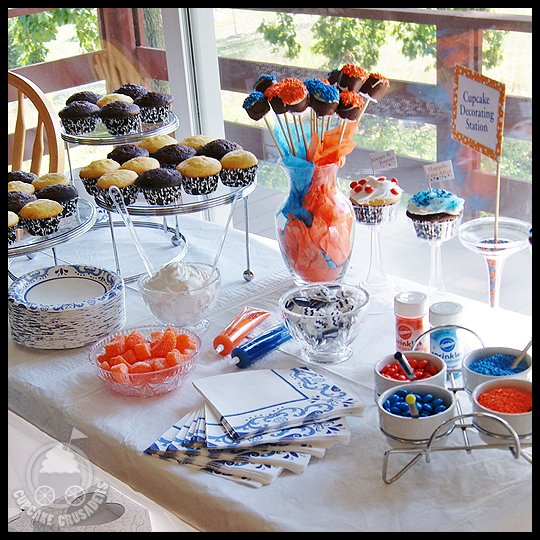 I love party food and I especially love the desserts. But I also enjoy hosting a good party, making guests feel welcomed in my home and making the guest of honor feel special. 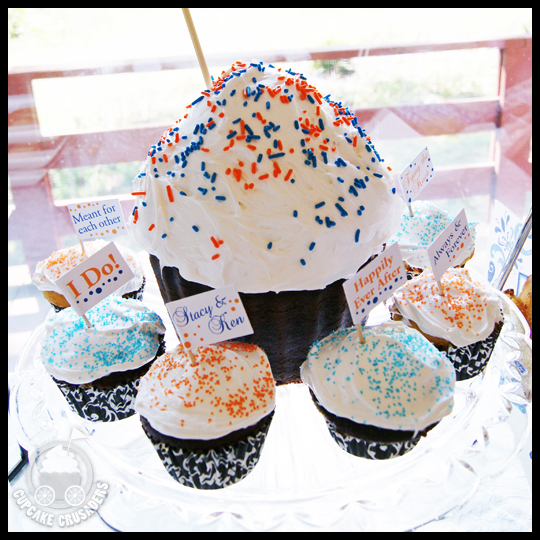 With parties becoming somewhat of a hobby, I recently joined the Catch My Party community to share photos, which included Crusader Stacy’s “Cupcakes and Tea” bridal shower. Stacy has been married now for 2.5 years, but it seems like the ideas from her party are still current! Catch My Party loved the “Decorate Your Own Cucpake” bar we had for guests and featured it as a “Party of the day” on their homepage and also on their Facebook page! We came up with the idea as an alternative to the typical bridal shower activities and games. The guests knew Stacy’s well-established love for cupcakes, so taking part in one of her favorite things was fun for everyone. We were able to find candies and decorations that matched the shower colors (and Stacy’s wedding colors), which kept the station looking elegant. 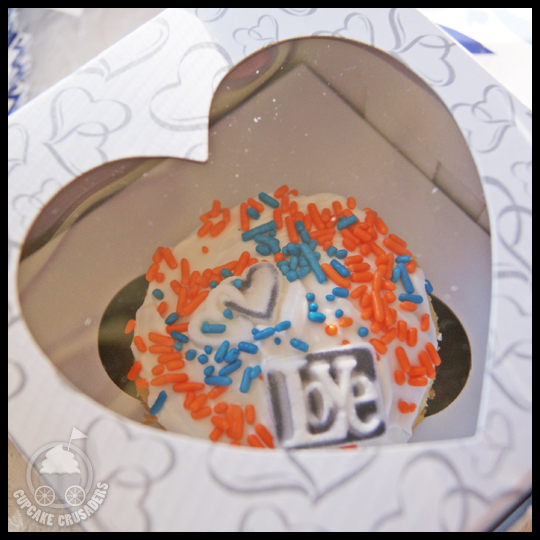 We also had pre-decorated cupcakes for those that just wanted to eat (or needed help getting their creative juices flowing), and cupcake-to-go-boxes for guests to make extras or take their dessert home for later. 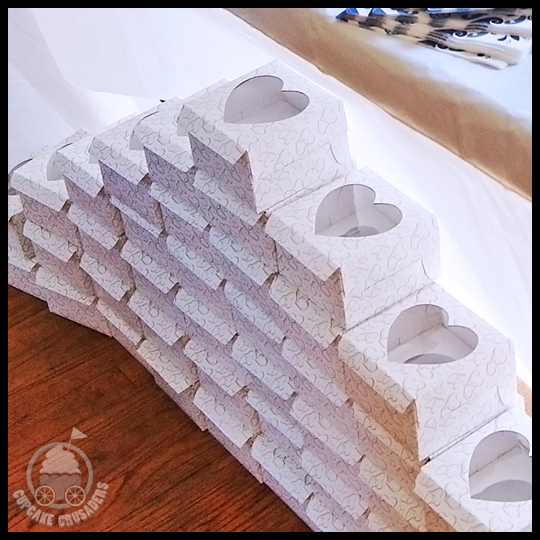 The containers worked out perfectly as party favors and doubled as decoration, stacked in front of the cupcake bar. Ever since having an option for guests to take treats home, we haven’t looked back. Now it’s a must at every party! 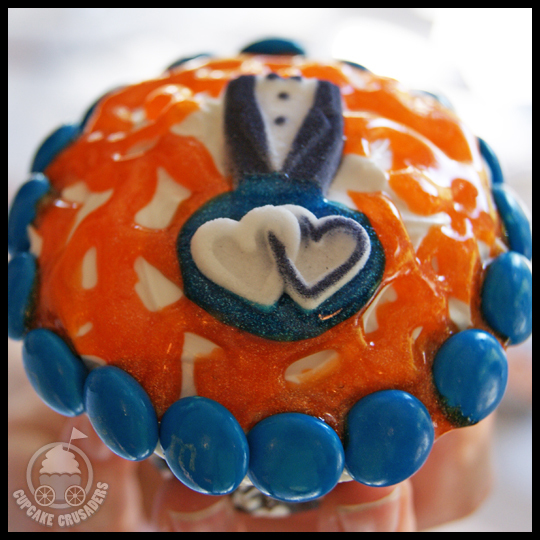 The cupcakes ranged from beautiful to humorous, but all were “sweet” with their wedding and love themes. It’s great to think back on this party, remembering how much fun everyone had, and how special Stacy felt. She was glowing the whole time, and after having hosted multiple showers herself, it was finally her turn to be pampered. If you’d like to see more photos from this party, you can view my gallery. We also shared the party with Fizzy Party, who featured the full party on her blog. 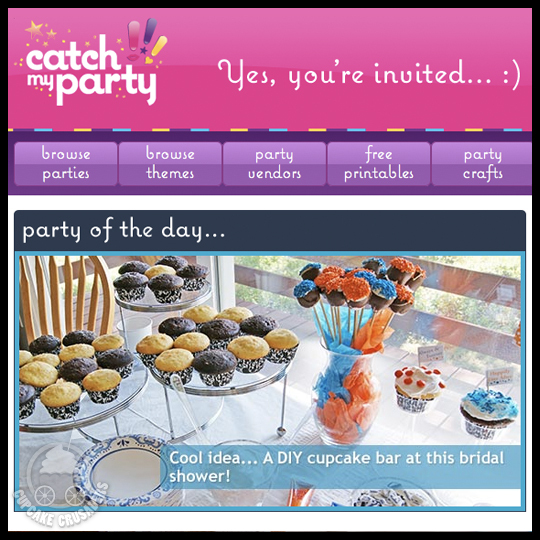 This entry was posted in Cupcakes and tagged bridal shower, catch my party, cupcake bar, cupcakes, decorating, featured, party, party ideas, tea party by Crusader Jenn. Bookmark the permalink. After seeing this it makes it seems so possible.